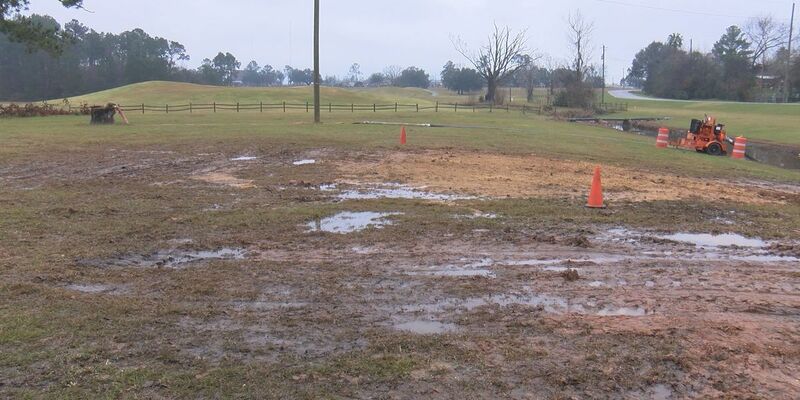 ALBANY, GA (WALB) -The City of Albany is investigating yet another sewage spill. The latest sent 7,000 gallons of sewage into a tributary for the Georgia Power Reservoir. A broken PVC pipe caused around 7,000 gallons of sewage to spill into the Georgia Power Reservoir, which eventually runs into the Flint River. You can hear the city's response to the latest spill on @WALB News 10. Sewer Systems Superintendent Jeff Hughes, said a leak in a PVC pipe caused the spill at the Turner Field Golf Course around 10 a.m. Tuesday. The sewage then spilled into a drainage ditch tributary, which does lead into the Flint River. Hughes said the pipe was about 20 years old, and could have split for a number of reasons, including excess pressure from the recent rains, an influx of storm debris or just age. Crews have replaced the pipe in this specific well now, and the spill was contained. But the contamination will need to be monitored carefully. Repairing the pipe was a separate project from the more than $1 million lift station repair project the city is already working on. The city has advised to avoid all contact with the water in the ditch for at least 30 days.